“Apart from a diamond necklace” I say a little flippantly to give myself time to think seriously about the question posed by one of my delegates. I was running an icebreaker session at the beginning of a Leadership Programme – everyone has a turn in the hot seat and the other attendees ask them questions. A series of thoughts run through my head and are quickly dismissed- clothes, handbags, a new car – health, happiness, another 50 years but I am not sure I want to be 100!!! Then it came to me – I wanted what I had – I am happy and I just want it to continue!! So how come I am so happy? This isn’t the first time it has dawned on me how lucky I am. I have a wonderful husband, I love my home and sharing it with my horses and cats, I am close to my family, I have amazing friends and to top it all I have the opportunity to lead a purposeful life and share my passion with others. Before you hate me – I am telling you this as I believe we can all find happiness. Everyone’s path to happiness is different. Based on the latest research the Action for Happiness Organisation have identified 10 Keys to Happier Living that consistently tend to make life happier and more fulfilling. Together they spell “GREAT DREAM”. 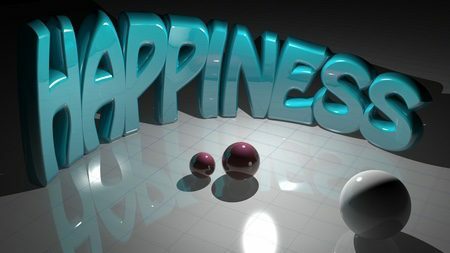 In this blog I would like to explore the role of Emotions in creating our happiness – how to look for what is good. We all know that negative emotions are essential to our survival – when we are faced with a ferocious tiger we experience fear and in doing so we trigger a series of biochemical reactions in our bodies that initiates our fight or flight response. The focus of our attention narrows and we become very solution focused mainly about how we are going to escape alive! Recent scientific research is revealing that in the same way as negative emotions narrow our focus, positive emotions can broaden our perspective – helping us to see more, be more creative and ultimately to develop more flexibility in our behavior. Positive emotions can also make us more open to different ideas and experiences, and have us feel more connected and trusting of others. So emotions such as appreciation, joy, gratitude, etc, are not just great at the time, the research shows that regularly experiencing them creates an upward spiral over time, helping us to feel more resourceful and resilient. I guess many of us already experienced this at some level – I was brought up on the expressions “When God closes a door, he opens a window” and “It is your choice if you see the glass as half empty or half full”. Over numerous years I have shared the value of the NLP techniques of “Reframing” and searching for the “unconscious positive intention” in any given situation. I am reminded of a great leadership programme I attended in my early 20s; I can still remember one of the exercises – every day for a month we were invited to record in a journal “50 things I love about my life”. I can tell you – it was tough going in the beginning and as I persevered with the exercise, I was looking for the good in everything – initially just so I could record it in my journal. At some point it became a habit and I discovered I was going about my normal routines genuinely loving my life! Nothing in the material external world has significantly changed, yet inside I feel significantly happier – purely by changing my focus. So my invitation to you is to have a go – record 50 things you love about your life every day for month – I look forward to hearing how you get on. And if you are curious about exploring more about what makes you happy, my friend and colleague, Sally Burnham and I are running an Action for Happiness 8 week programme starting on the 7th February 2017. Let me know if you are interested in joining us? To find out more about my training, coaching, NLP or how horses can teach us valuable leadership lessons, please contact me at lisa@lisabrice.co.uk. Lis .. Love this blog !